Established in 1969, Gajjar Industries is a leading manufacturer and fabricator of customize CNC Laser cutting and precision sheet metal components. 50 years of knowledge, expertise, and dedication has led the company to expand its range of products to the international market. Gajjar Industries registered under ISO 9001: 2008 is an ultimate solution for any kind of CNC Sheet Metal Laser Cutting, CNC Bending, Welding, Sheet Metal Fabrication in Mild Steel, Stainless Steel, Aluminum, Copper and Brass, Sheet Metal Job Shop, Powder Coating, Fabrication Stainless Steel and many more. 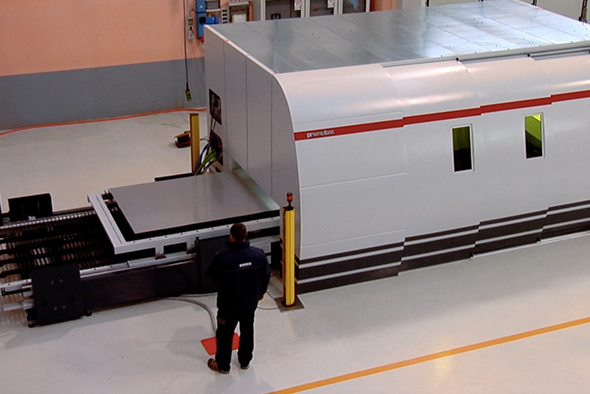 With the procurement of advanced laser cutting technology machines from Italy and Japan, Gajjar Industries has achieved tremendous growth across the globe. Our services and products have reached to the various machine industries in the United States of America, Germany, Israel, and the United Kingdom. The use of high-end CNC Laser cutting machinery helps in cutting intricate and complicated shapes directly from metal sheet or plate without any extra investment required on tooling. These features enable our designers to create new possibilities for cost-effective component manufacturing as well as ensure flawless end quality standards. Gajjar Industries aims at satisfying customers by designing, cutting and delivering products par expectations.